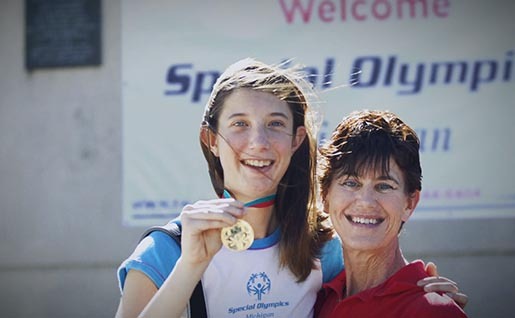 Procter & Gamble is promoting sponsorship of the Special Olympics with “What I See”, a television commercial featuring athlete Molly Hincka. Molly’s mom did what any mother would do — she never gave up on her child. In honor of Mother’s Day, P&G will be matching Special Olympics donations, up to $200K, through June 1. Give at specialolympics.org/mom. The Special Olympics campaign was developed at Wieden + Kennedy Portland by executive creative directors Mark Fitzloff and Susan Hoffman, creative directors Karl Lieberman and Danielle Flagg, copywriter Tatum Shaw, art director Ken Meyer, producer Jennifer Fiske, agency executive producer Ben Grylewicz. Filming was shot by director Malcolm Venville via Anonymous Content with executive producer Dave Morrison, line producer John Benet, director of photography Dion Beebe. Editor was Kyle Valenta at Joint Editorial with producer Shelli Jury and executive producer Patty Brebner. Visual effects were produced at A52 by Flame artist Paul Yacono, producer Megan Meloth. Titles and graphics were produced at Brand New School. Sound and music were produced at Stimmung by composer Chip Jenkins, producer Ceinwyn Clark. Sound was mixed at Lime Studios by Loren Silber with producer Jessica Locke. Photo retcouching was by Amy Corcoran.